Legal & General America has awarded a $25,000 grant to the National Hospice Foundation (NHF) for the creation of an online resource to help the public find information and community support services addressing grief and bereavement. 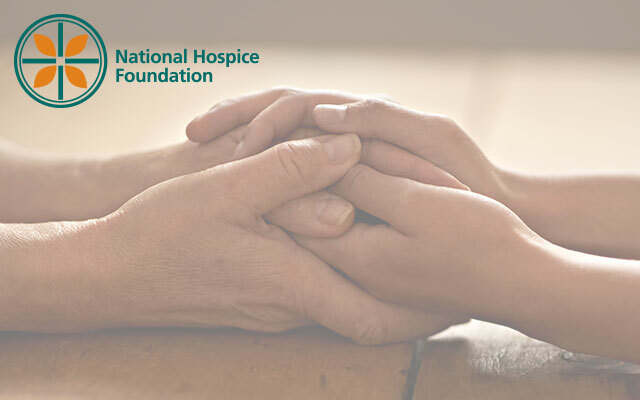 LGA will work with NHF affiliate the National Hospice and Palliative Care Organization (NHPCO) to create an online searchable database that will offer resources such as individual counseling, group support and workshop activities designed to help individuals struggling with grief and loss. Hospice programs often serve the broader community as a valuable resource offering support in response to a range of situations involving loss and grief. In addition to more traditional support groups, hospices provide grief counseling to schools, support to people who have lost a loved one to addiction or suicide, outreach following natural disasters, host memorial services, and offer other services in response to community needs. In addition to the online “find a provider” tool, the grant will support a consumer outreach and education initiative. NHPCO believes that everyone should have access to support whenever faced with serious loss, grief and bereavement. Grief is a part of life, but we can all benefit from help when we have to face it. This new resource will help countless consumers to access support from skilled professionals that are experts at helping people navigate grief and loss. The online database will allow a person to search from any device anywhere and locate and contact bereavement professionals offering counseling services, group support, special services (activities specific for children and teens or bereaved who have lost a spouse, a child, etc). Grief is the natural response to the loss of someone or something important to a person. It is a natural part of life. Grief is a typical reaction to death, divorce, job loss, a move away from family and friends, or loss of good health due to illness. Hospice professionals know that grief lasts as long as it takes to adjust to the changes in life after a loss. Grief has no timetable; thoughts, emotions, behaviors and other responses may come and go. There are many factors that affect how long a person grieves, including age, maturity, personality, physical and mental health, coping style, culture, spiritual and religious background, family background, other stressors and life experiences. The time spent grieving may also depend on how prepared a person was before the loss was experienced. LGA’s grant to create an online support database is the most recent contribution to help further the NHF’s mission to educate and support those in need. In 2017, LGA awarded NHF a grant to create an educational video highlighting the importance of advance care planning. Again, working in collaboration with NHPCO, the video, “Advance Care Planning,” was released last year to coincide with the 10 year anniversary of National Healthcare Decisions Day.